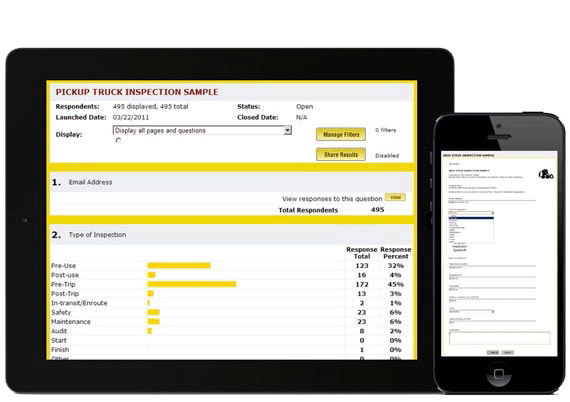 Take your inspection program to the next level with our core software solution, which allows you to add only the modules you require. 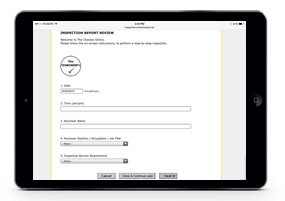 We have hundreds of pre-built mobile inspection checklists, or you customize checklists to audit, assess, or inspect virtually anything or any process. The software’s flexible configurations allow individual users to personalize the software for their needs. 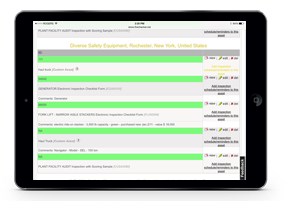 The Checker Pro will help you to improve safety, achieve compliance, and reduce costs. With a glance, you’ll be able to see and manage the heart of your operation. 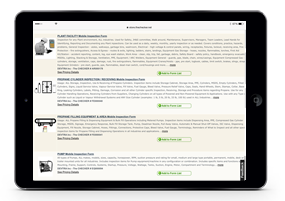 Choose from hundreds of pre-built mobile checklists. Each checklist is designed specifically for what’s being inspected. Each checklist has unique detail but a standardized, easy-to-use format. Each checklist is easily customizable. Easily design or edit your own checklists for your particular needs. 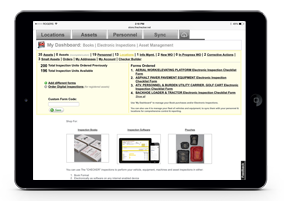 Build checklists for the exact assets or processes you need them for. 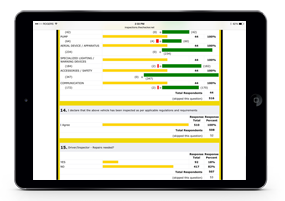 Checklists can be created with scoring capability for audits, benchmarking, and pass/fail. No programming or design expertise is needed to create checklists. Schedule alerts for specific events (annual certifications, monthly walk-arounds) or situations (e.g., a failed inspection, an inspection not done). Completed checklists are sent in both email and PDF format to designated recipients (maintenance, management, safety personnel, customers, etc. ), with reviews, comments, and links able to be attached. Non-compliance issues are immediately red-flagged. Scheduling and reminder tools keep everyone on task. See key metrics in one place. Easily configure your dashboard to get the most insights out of your data. Monitor activity (assets, inspections, personnel, etc.). Keep your whole team informed – create custom dashboards for senior management or other specific business users. Spot trends and identify issues. Analyze data and gain important business insights. Permanently store and easily access data so you’re always ready for regulatory or management reviews. Maintain a historical record of inspection/audit activity. Keep documentation for compliance requirements. The Checker’s optional modules are available to users of The Checker Pro. Each module offers important supplemental functionalities that can further extend the benefit of The Checker—allowing you to build an even more robust and efficient inspection or audit program that has a positive impact on the bottom line. Inspection and audit programs that make use of these modules are clearly mature programs operating in organizations that understand the correlation between inspections and safety and between safety and profitability. Learn more about The Checker modules. The Checker software is simple to use and works on any tablet, smartphone, laptop, or desktop. To help you understand how easy it is we have created some trial inspections for you to use. 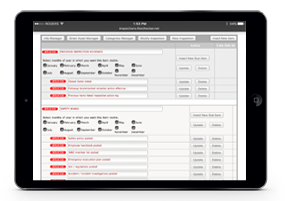 Each trial will provide you with a high level understanding of what it would be like to use The Checker Pro in the field. Simply click on the inspection you want to try and follow the instructions. Note: These samples do not represent a complete inspection. They do represent the format of The Checker software and will give you a good understanding of how the software works. The Checker software will help you improve safety and maintain compliance while lowering costs and risk. Why not try it now? Getting started is easy. Request a free demo of what The Checker software can do!